(Albuquerque)-The Albuquerque Coalition for a Healthy Economy (A.C.H.E.) today announced a lawsuit against the City of Albuquerque in State District Court due to the Healthy Workforce Ordinance. A.C.H.E. members believe the proposed ordinance is a fraud on city voters because it hides a vast number of punitive, unnecessary and expensive details from public debate and consideration. The proposed ordinance funded by a collection of out of state special interests presents at least seven different questions as one. Voters will be forced to decide on the ordinance during the October 3rd Municipal Election. If enacted the ordinance will be the most expensive and expansive in the nation, leading to lost job opportunities and businesses to relocate. “Most employers’ existing paid time off (PTO) policies will not be in compliance with the strict requirements of the Ordinance. So, employees will lose their PTO and have to revert to sick leave and vacation time.” said Carol Wight, CEO of the New Mexico Restaurant Association and a member of the coalition. The petition summary of the seven-page ordinance clearly outlines the diverse, varied and multiple questions being asked of voters. Requires Albuquerque employers to provide earned sick leave to employees who work as few as 56 hours in the city of Albuquerque at the rate of one hour of leave per 30 hours worked. Provides that employees may use sick leave for their own or a family member’s illness, injury, or medical care, or for absences related to domestic violence, sexual assault or stalking. 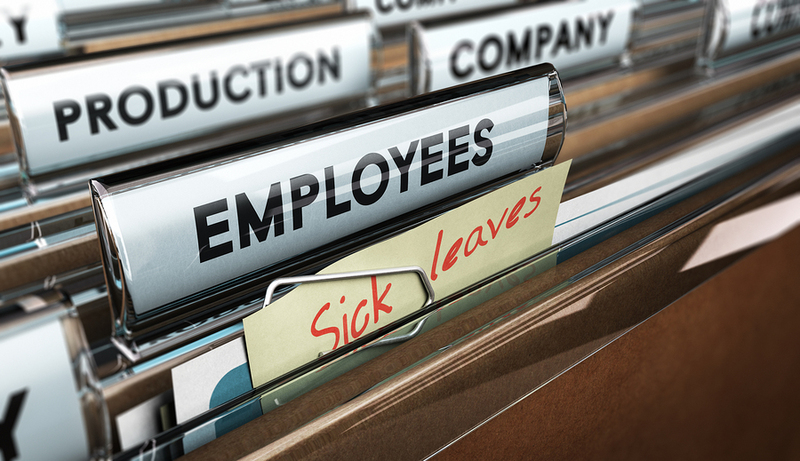 Not just family injuries, care or treatment triggers coverage for the employee, but also anyone with a close relationship to the employee, the employee’s spouse or partner that needs care or treatment can trigger the sick leave time off. Provides that employees of businesses with 40 or more employees may use up to 56 hours of accrued sick leave each year, and employees of businesses with fewer than 40 employees may use up to 40 hours of accrued sick leave each year. Provides that employers must notify employees of their rights and maintain extensive records. Provides for public enforcement, a private right of action, and liquidated damages and penalties for noncompliance. Lawyer fees are mandatory only for plaintiffs. No penalties for false or fraudulent claims. The ordinance is written to make it essentially impossible for employers to raise any questions about the use of the sick leave. In the 2012, Albuquerque minimum wage debate, District Court Judge Nan Nash identified the problem of log rolling in stark terms. Presenting more than one unrelated question to the voter as a question has been called ‘the vice of doubleness’ and is ‘“universally condemned’ as a species of voter fraud. Judge Nash held that because the proposed voter initiative (minimum wage) presents more than one issue for voters to decide with only one vote, it is invalid on its face. The same legal issues hold true for the sick leave ordinance. This October, Albuquerque voters will be voting for mandatory paid sick leave for all Albuquerque employees based solely upon a brief, misleading 4-sentence description of a broad-reaching and harmful Ordinance. Implementation of this law would have a significant negative impact on Albuquerque employers. If adopted, the Ordinance would not be subject to revision or compromise, and would go into effect without any public hearings or consideration of the harmful details. “This is going to chase good employers out of Albuquerque and New Mexico in a hurry,” said Rogers.